Ram Kumar Thakur, a lawyer and RTI activist was shot dead in Ratnauli village of Muzaffarpur district on 23rd March. No arrests have been made in well over three months. He had been actively raising the issue of corruption in his village, Ratnauli, for the last few years, including filing a number of RTI applications on the implementation of the MNREGA and IAY. Most recently, Ram Kumar had filed a case with the State Vigilance Commission on the installation of solar lights under the MNREGA raising questions on the allocation of money under the project and alleged mismanagement of funds by the Mukhiya, Raj Kumar Sahni. Had the police and administration taken notice of Ram Kumar’s repeated appeal for protection, against perpetrators of violence that were well known to the police and the administration, Ram Kumar Thakur would still be alive. He is succeeded by his wife, two daughters and a son. 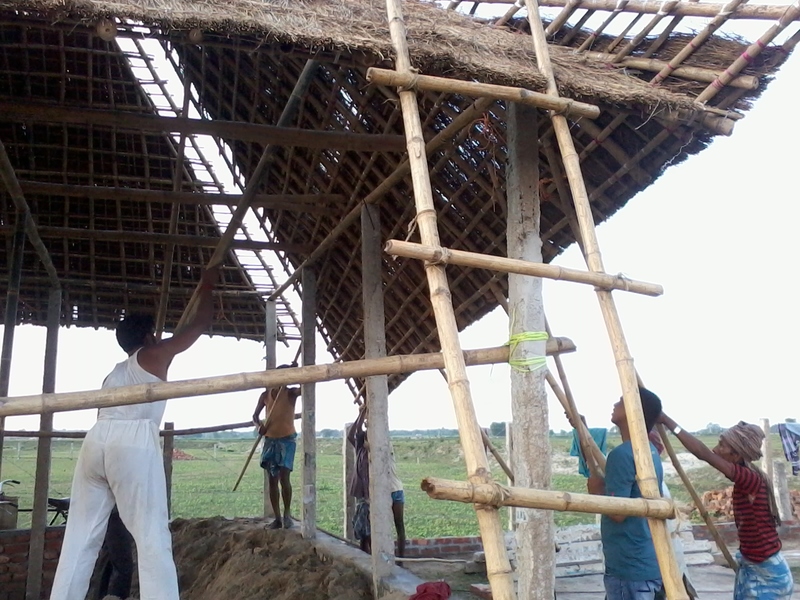 Ram Kumar was also an associate of the Bihar MNREGA Watch, which has been spear heading an unprecedented mobilization of workers in Ratnauli panchayat, and has in the past years spread to other blocks of Muzaffarpur district. JJSS has been actively supporting Sanjay Sahni and others of Bihar MNREGA Watch to raise their voices for securing entitlements under MNREGA and the national and state pension schemes for close to two years through public meetings, demonstrations and application filing. JJSS team members were part of the initial fact finding team and we have been actively bringing up the issue of delayed justice at various forums. Expenditure head Amount in Rs. ** donations for these events were raised seperately from those raised for the JJSS. 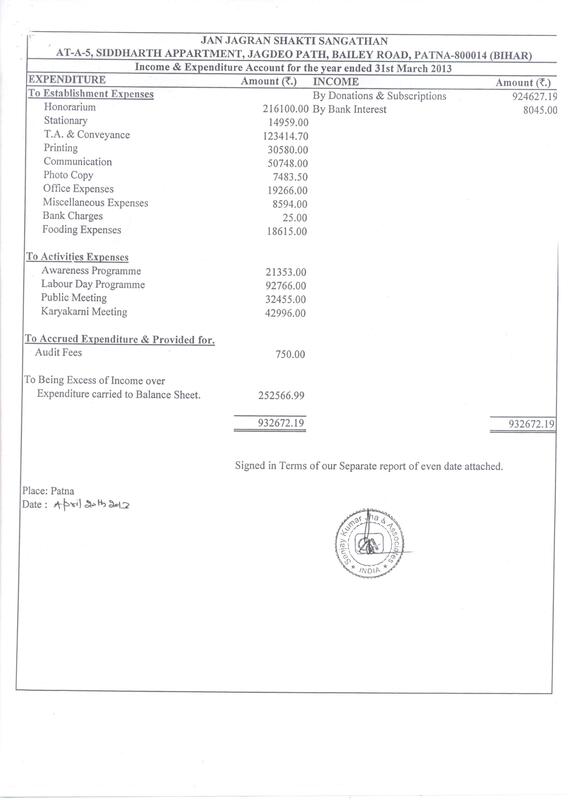 * these and other small expenses were covered for the Bihar MNREGA Watch (BMW), Muzaffarpur from the 60,000 rupees donation received specifically for the BMW. 25th November 2013 – Pension Parishad one month sit-in to start in Jantar Mantar, Delhi. 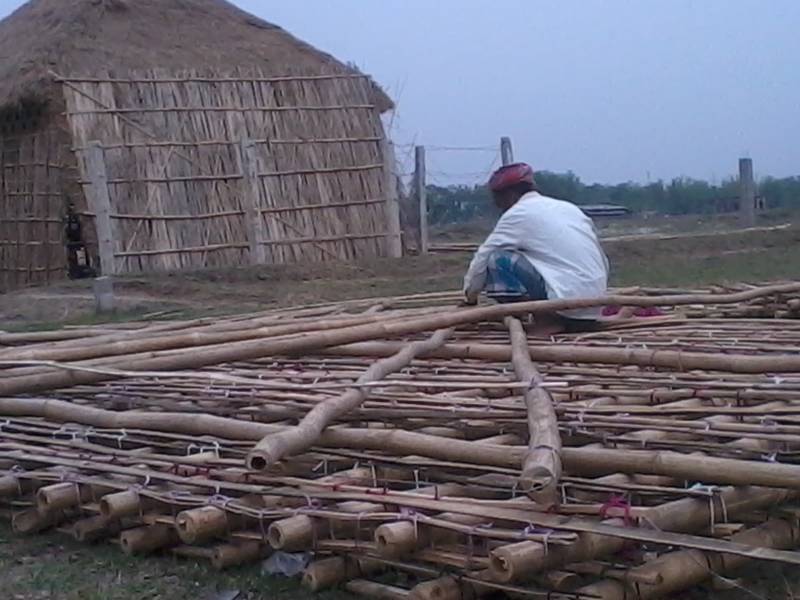 November 2013 – Kam Maango Abhiyan in Katihar district as part of the initiative of the PAG (Programme Advisory Group), set up by the Central Government. 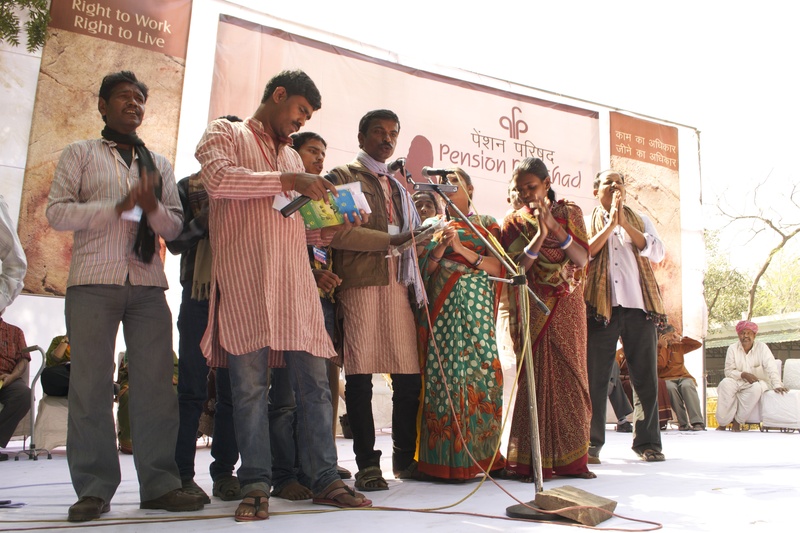 The PAG has been set up to revive the NREGA across the country, Ashish and kamayani (of the JJSS) are part of National Resource Groups created as part of the PAG. November-December 2013: Social Audit of Mid Day Meal scheme in Bihar. An initiative of the Central Government and SSAT (AP) of which JJSS is one of the support organisations in Bihar. 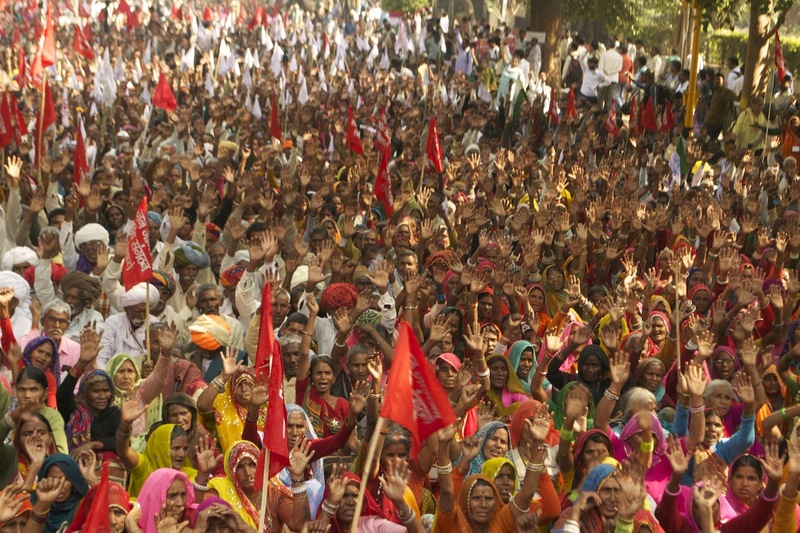 2nd February, 2014 – Nation wide mobilisation of the Rashtriya Mazdoor Adhikar Morcha, in Delhi on the poor state of NREGA. The Morcha was formed after the first national convention of the Rozgar Guarantee Sangharsh manch in Bhopal from 18-20th September, 2013. JJSS has been active int he formation of the Manch and hopes that it will be able to build workers’ representatives to take up their own issues. An important slogan from the convention which also goes with the JJSS thinking was “jiska mudda uski ladai, jiski ladai uski aguvaee”. The elderly from across the country have been assembling at Jantar Mantar during every parliament session since April 2012 to demand universal pension that would enable the elderly in our country to live with dignity. In a first for the JJSS, over 1000 JJSS members and supporters boarded 4 different trains to Delhi to join a national protest organised by the Pension Parishad on 6th March, 2013. Moving saathis in such large numbers from Araria and Katihar to Delhi required a lot of coordination at our end. Given the 24 hour journey and lack of adequate number of trains, four groups were created that traveled to/from Delhi in a batched mode. Necessary instructions and identity cards were distributed to all participants. While saathis carried their rations for the trip to Delhi and their stay there, 1000 dry ration packets were made in Delhi for their journey back, by local volunteers with the help of NAPM that arranged for dry ration contribution. 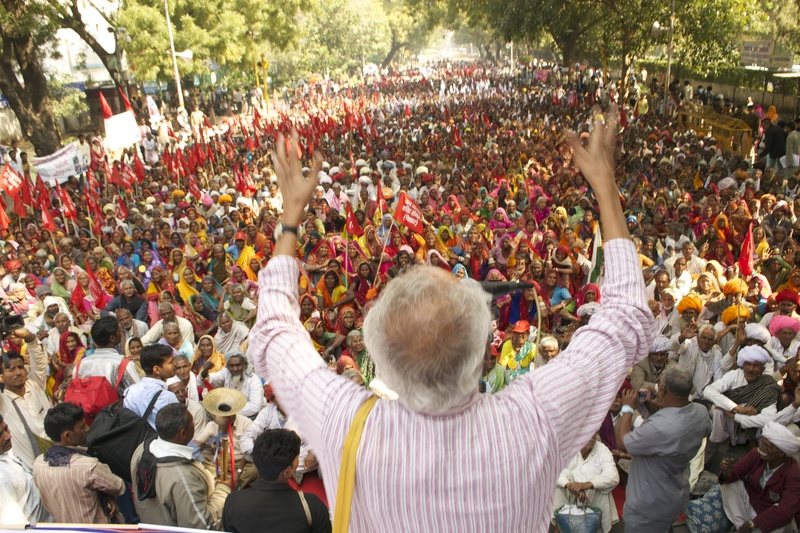 Baba Adhav addressing the gathering of over fifteen thousand people. Over 15000 elderly persons from 26 states assembled on this day at the Parliament Street to demand some assurance from the Government. Hon. Minister for Rural Development, Shri Jairam Ramesh responded to Comrade Raja’s and Shri Hussain Dalwai’s questions in parliament and assured the house that he would come back to parliament in five weeks with a restructured National Social Assistance Programme that includes pensions for the elderly, the differently-abled, and single women. Hon. Minister then came to Parliament Street and addressed the gathering. A cross section of gathering. JJSS saathis made the gathering colourful with their flags ! During the budget session, on March 6, 2013 The ripples from Delhi reached Rajasthan where the Government issued a set of GRs on April 1, that made pensions near universal. The Rajasthan government commenced an enrolment campaign and many hundreds of thousands of the elderly have already started getting pension. However, the Minister did not keep his promise! the promise and the restructured pension scheme has not yet been tabled in parliament. To remind him and also to send a message to the Hon. Members of Parliament from other states that they must Act to protect the weakest sections of the population, the elderly who have spent their working lives contributing to the economy, it has been decided that representatives from different states will sit on a indefinite sit-in from 25th November, a team of 30 to 40 members will be headed from Bihar. On 26th March, the Bihar government released a circular lowering the MNREGA wage from Rs 144 to Rs 138 per day with effect from 1st April 2013. Workers and peasants, who were already facing the blow of delayed payments in MNREGA, were shocked. It was beyond comprehension. How can any Government reduce wages? Nonetheless, it had happened. Bihar Government blamed the Central Government and pleaded innocence for paying Rs. 138. 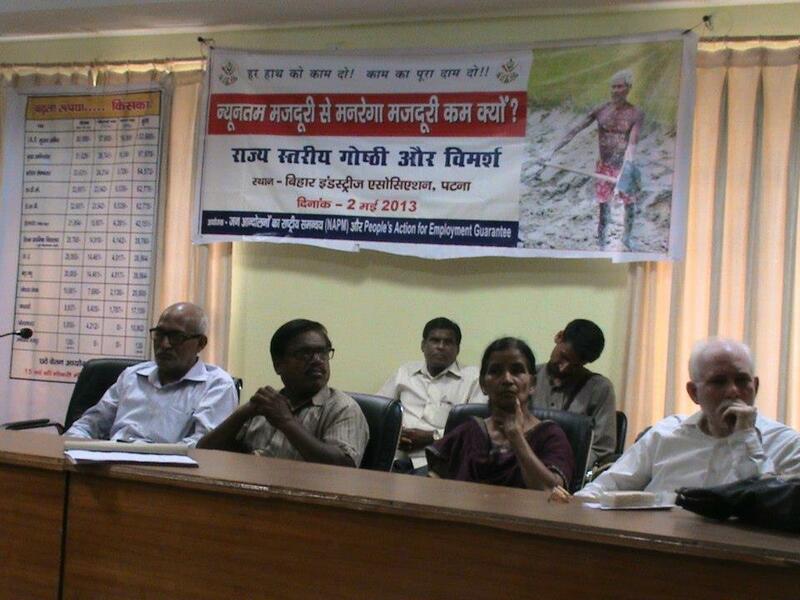 2nd May mobilization in Patna: JJSS and NAPM organised a one day discussion in Patna on 2nd May. The idea was to highlight the issue in Patna amongst political parties, trade unions and civil society and to register a strong protest against the move. A strong contingent of more than 250 workers from Araria, Katihar and Muzaffarpur (MNREGA watch saathis) joined us and made the discussion extremely fruitful and relevant. The meeting was well attended by Left Party Unions. Other political parties promised to attend, but did not turn up. 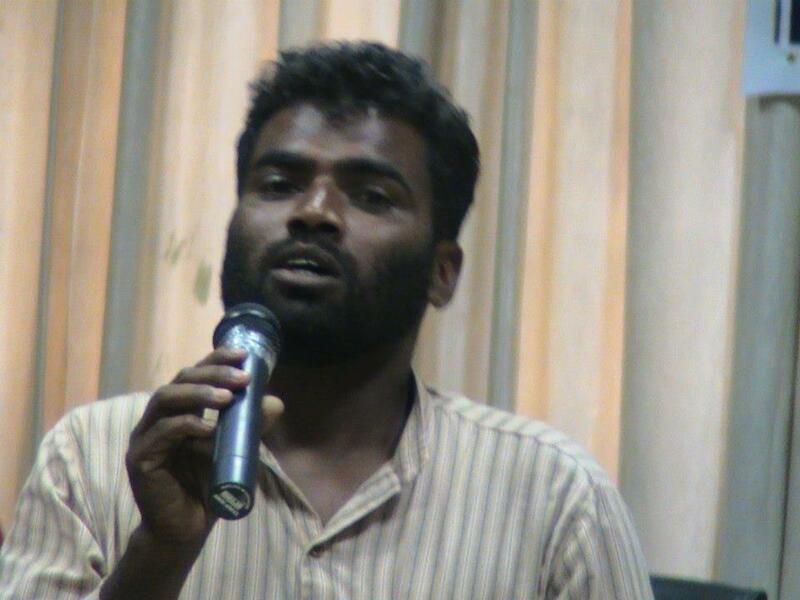 Jiten Paswan of JJSS set the tone of the meeting by his moving song “rahiye na mazoor na mangihe mazdoori, chalwa da ye nitish gardaniye pe choori” (Nitish, slit throat of all the workers with knife – once dead they will not ask for their wages”). Dhirendra Jha of AIALA, Com. Mishra of CPI were prominent representatives of the left unions. Meeting with Political Parties: JJSS, NAPM, and PAEG started the campaign against the lowering of wages by first sending a letter to the Chief Minister and the Rural Development Minister. Ashish of JJSS had found out that the decision to lower the wage was taken at the highest level (through the use of the RTI) and it could be overturned only by the Chief Minister. We came to know through people in the government that the chief minister was not willing to take back the decision. Thus, we decided to meet representatives of all political parties to make them aware of the issue and ask them to support this struggle. Most sympathised with the cause and assured us that they will make it a political issue. We also invited them to the 2nd meeting. Most agreed to come, but only Left party leaders attended the meeting on 2nd. Meeting with the Chief Minister: On July 2nd, Aruna Roy and Nikhil Dey were part of an NCPRI meeting organised to initiate the state level processes to build a vibrant network for the RTI. We took this opportunity to meet Nitish Kumar. Aruna Roy, Nikhil Dey, Kamayani Swami, and Ashish Ranjan met the chief minister and talked about various issues groups were facing in MNREGA, murder of RTI activist Ram Kumar Thakur, Social Audit directorate etc. We heard from the chief minister that the decision to increase the MNREGA wages had been taken and the govt will pay Minimum wage to MNREGA workers. We were thrilled to know this and thanked for a very progressive decision. We appreciated the fact that Bihar is the first state to take this principled stand of paying minimum wage in MNREGA. Bihar went through a political turmoil in between as the alliance between JD(U) and BJP broke. We were apprehensive if the decision would come through. 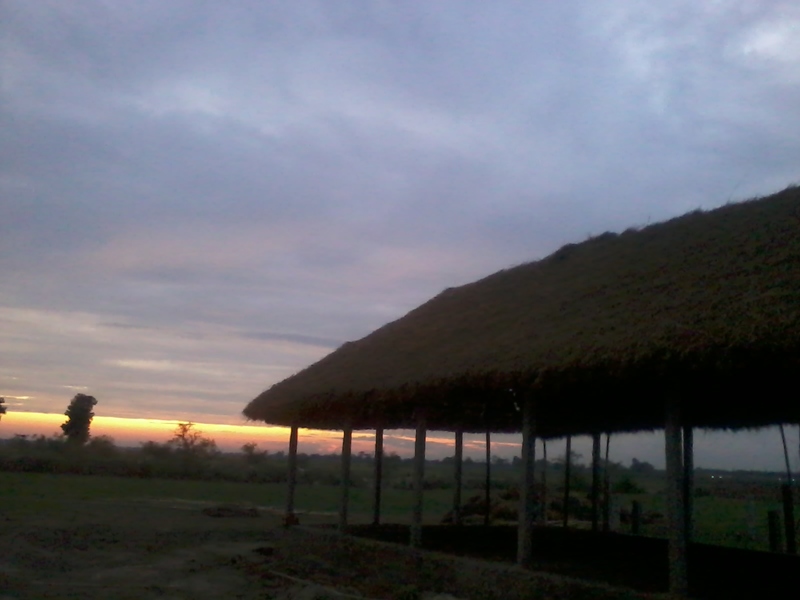 However, we were glad to hear the announcement that NREGA wage rate would be made Rs. 162 in the assembly by the CM on 19th June, 2013 . In fact, the CM compared the minimum wage of Bihar with other states, particularly Gujarat, and stated that Bihar was much ahead! The final notice of the wage rate was however issued on 24th July, 2013. JJSS rejoiced and said that victories in such battles makes us feel that we are part of this democracy!